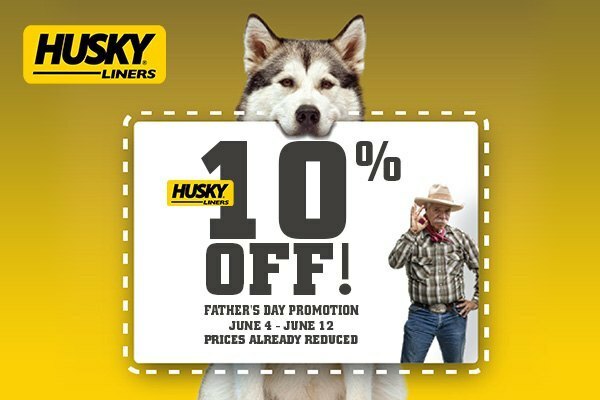 This year, we're celebrating big Dad's day by offering 10% OFF the original price on all Husky Liners products! Yes, you heard that right - every single Husky product is on sale now to help you treat your father with a good present. Floor liners, mudguards, fender flares and all forms of armor for the interior and exterior for cars, trucks, and SUVs are on sale for the dads who love to spend time behind the wheel! This is a limited time promotion! Please note that there are only 4 days left to save, don't miss your chance. Prices are already reduced. Father's Day Sale! 10% Off NO EXCLUSIONS + Free Shipping & Gift Certificate Special! Dreadful experience with, "Used Approved"
Goodyear Tires on Sale - Get up to $160 back with the set purchase!